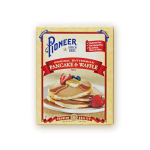 Enjoy the unmistakably sweet flavor of buttermilk pancakes with a delicious maple twist, all you need to add is water. 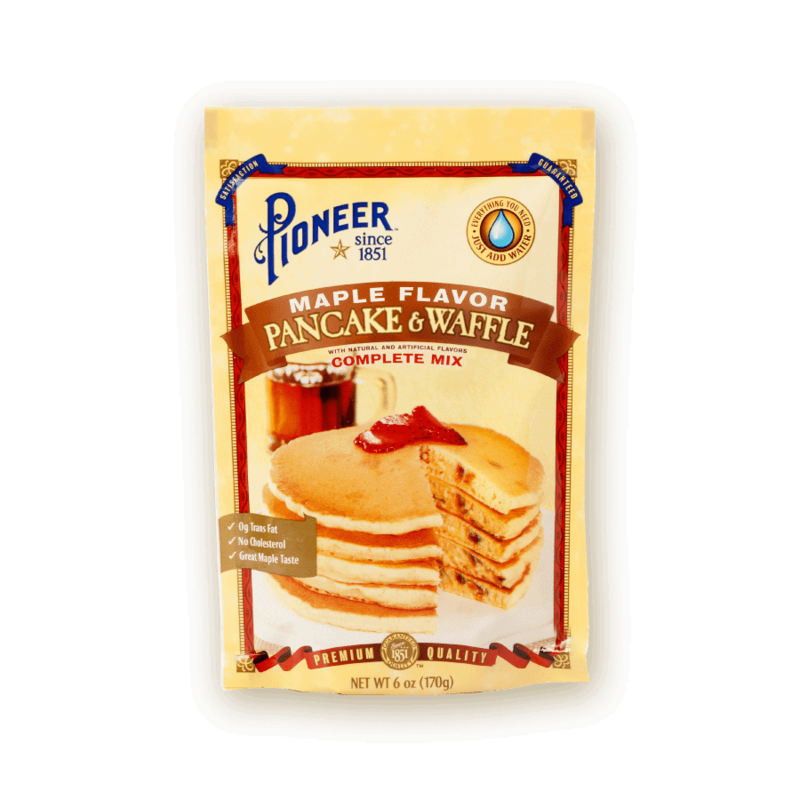 Pioneer Maple Flavor Pancake & Waffle Mix has all the deliciousness of maple’s bold flavor while remaining cholesterol free and has 0 grams of trans fat. Do you have a table full of breakfast enthusiasts who demand nothing but the best? 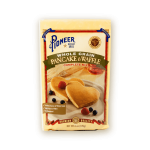 Treat your family and friends to a batch of our Maple Flavor Pancake & Waffle Mix and enjoy smiles, laughs and happy bellies full of real, premium ingredients. Mix water and package contents with a spoon in a medium size bowl (batter should be slightly lumpy). Bake on a heated griddle 1 1/2 to 2 minutes on each side (turn only once). Preheat waffle iron to 375F. 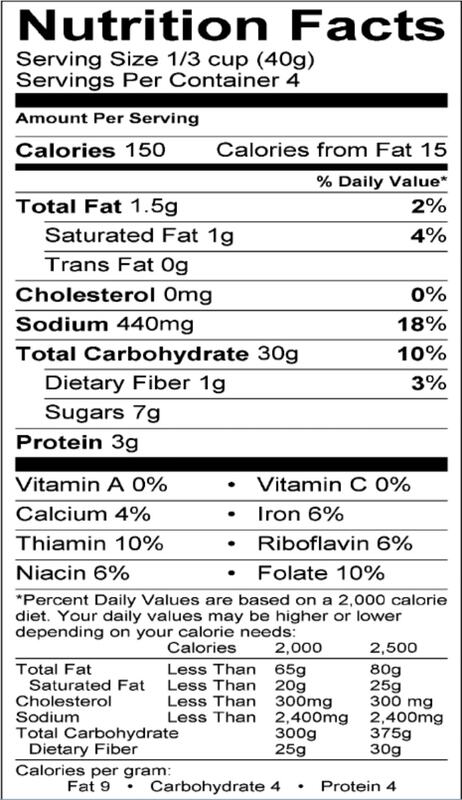 CONTAINS LESS THAN 2%: SALT, SODIUM BICARBONATE, BROWN SUGAR, MONOCALCIUM PHOSPHATE, SODIUM ALUMINUM PHOSPHATE, FOOD STARCH-MODIFIED, BUTTERMILK, COLOR ADDED, NATURAL AND ARTIFICIAL FLAVORS.